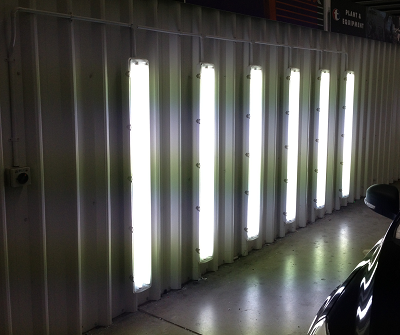 Lighting repairs, upgrades and led replacements. In today's day and age often domestic appliances are not worth repairing, as the cost of a new one is more than likely cheaper than repair. Commercial appliances on the other hand are generally a considerable amount more expensive and a repair is normally a more economical option. 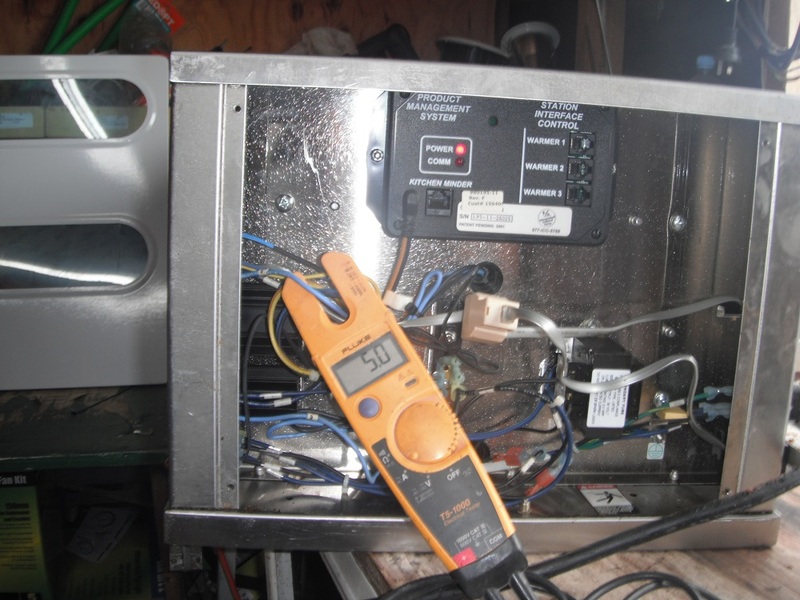 We carry out a lot of repairs to commercial Ovens and equipment and have a wide knowledge base with this sector in the electrical industry. We get all sorts of questions asked by our clients and are often asked to customise a solution to suit specific needs. We take pride in offering our services and carefully design solutions to suit your every requirement. Contact us today if you have something you need a customised solution for. Fully customised horse walking / training solution designed and engineered by Odlum Engineering, and Chris Odlum Electrical Ltd. This Giant automated cloths line was designed to train horses. It is set up with a variable speed controller to provide full control on speed and a sophisticated gear box for ultimate torque control. From a blank canvas to the finished product, we design and build up the control boards to run the applications required. This client was after a large amount of light on one side of a car for inspections, and are now getting what they asked for. The Colour of light is a big consideration dependant on application. Many people are now familiar with the idea of a "warm" white or a "cool" white being offered by fluorescent and other light bulbs. These bulbs have vastly different color temperatures. The "warm" bulb often has a color temperature of 3,000K and casts a more orange/red light on objects. Because you normally associate warmth with red or orange objects, this accounts for the "warm" descriptive name, even though it is a cooler (lower) temperature on the Kelvin scale. A "cool" white bulb commonly has a color temperature of 4,100K and higher on the Kelvin scale. 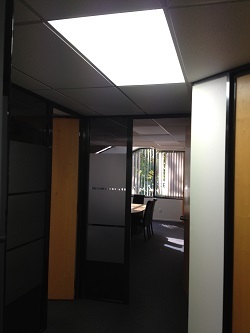 A before and after picture of some office lighting we recently upgraded. 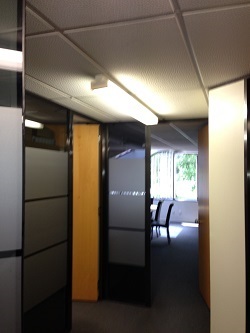 The original florescent fittings were replaced with troffer packs to modernise the office.